Model M2115 Capabilities and Pricing - Mentor Radio, LLC. Mentor Radio’s newest family of radios are loaded with features that help improve safety. Fully Synthesized Radios with DSP Technology! 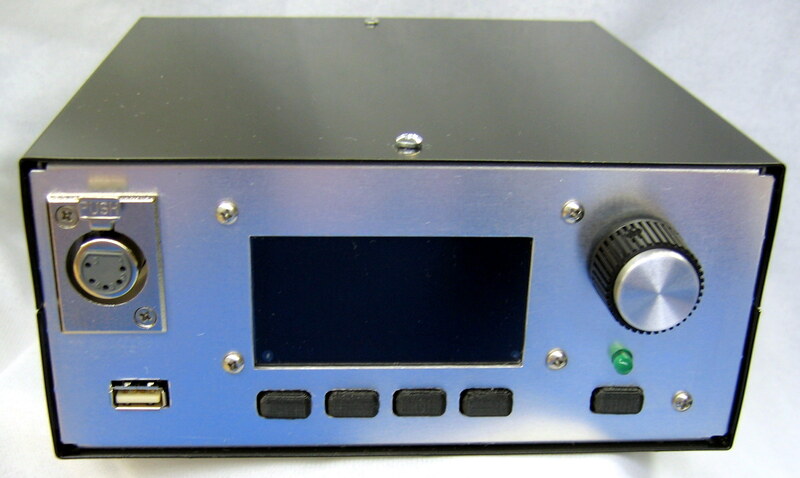 The same M2115 unit is used for both a transceiver (M2115M) and a base station (M2115B). USB connector interfaces with your PDA, laptop, and/or Bluetooth to reduce the lag time when relaying important information for “real-time” communications. Program up to 255 channels. Match the power to your licensing authorization – 10, & 25 Amp availability. Incorporated to help prevent transmissions on unauthorized frequencies. Allows for up to 64 authorized users to program channels or change radio settings. MUST HAVE A PrymeBlue WIRELESS HEADSET ADAPTER. Airports present many communication challenges. Many FBO’s and corporate flight departments use two different radio bands. The VHF radio is for aircraft/tower operation communications such as UNICOM or ARINC and for business communications they use a licensed UHF Land Mobile Radio (LMR) to handle business to business (B2B) communications. Mentor Radio has designed the M2115 integrating both of these radio functions into one. With our LMR option* (Available in the near future) installed in the M2115, the unit can support many new functions utilizing both VHF and UHF. This option will provide simplex/duplex LMR functionality along with low speed data providing on-board “live” GPS asset tracking along with business data between mobiles and the base station radio. There is a second USB, type B connector on the M2115 radio to allow you to connect to a laptop or other computing device allowing you to send data over this radio link. Two antennas are available for the base units. Wireless headsets – The M2115 has a XLR connector that when used in conjunction with our adapter, available only thru Mentor Radio from PRYMEBLU, allows the user to use wireless Bluetooth headsets of any style to stay in contact when outside of their vehicle. Noise protection wireless headsets are recommended for very noisy areas. User adjustable power – maintains optimal transmitter level. Connects to an external power amplifier, like Mentor Radio’s PA25, for even more power. When used with a PA25 the M2115 can transmit up to 25 Watts for better ARINC communications. Dual conversion super heterodyne receiver circuitry utilizing frequency synthesis tuning. The M2115 offers excellent interference rejection while still providing superior weak signal sensitivity. Digital Signal Processing (DSP) providing digital modulation/demodulation with enhanced digital filtering. The M2115 can receive amplitude modulated (AM) signals along with digital VHF data. Microcontroller controlled user input and output. Built-in speaker. Mobile: 2″ x 2″ 4 Watt, Base Station: 50×90 mm 5 Watt. Laptops use to allow sending business data using optional LMR radio (future option). GPS data storage (future option): Laptops to receive GPS position data from radio for moving map applications, vehicle driver training, restricted area warnings, etc. Closed loop power control for maximum transmitter versatility to provide optimal transmitter signal while minimizing potential interference. Remote Output: Discrete signals connect to remote controllers. Remote frequency selection up to 16 channels. Mentor Radio offers a wide assortment of accessories to provide a complete installation solutions. Two antennas are available for the base units. We offer a narrow band type 526 ASP7A and a wide band type 514 AV-1 antenna. The frequency range you need to transmit is usually the governing criteria in selecting the most suitable antenna for your application. Even for narrow band applications, the AV-1 type antenna offers a more durable antenna than the lower price ASP7A. Also the AV-1 does not require tuning as the ASP7A does. We recommend the narrow band antenna when the frequency range is < 1MHz, otherwise use a wide band antenna. It is necessary to cut the ASP7A to the correct length for your operating frequency. If used for multiple channels within a narrow band, cut the antenna to the center frequency of your operating band. Two antennas are available for mobile units. A thru-hole style antenna and a magnetic mount antenna. Two styles of local control microphones to choose from. A handheld noise canceling microphone and a pedestal style desktop microphone. Simple plug either microphone into the front panel jack and you’re ready to talk.